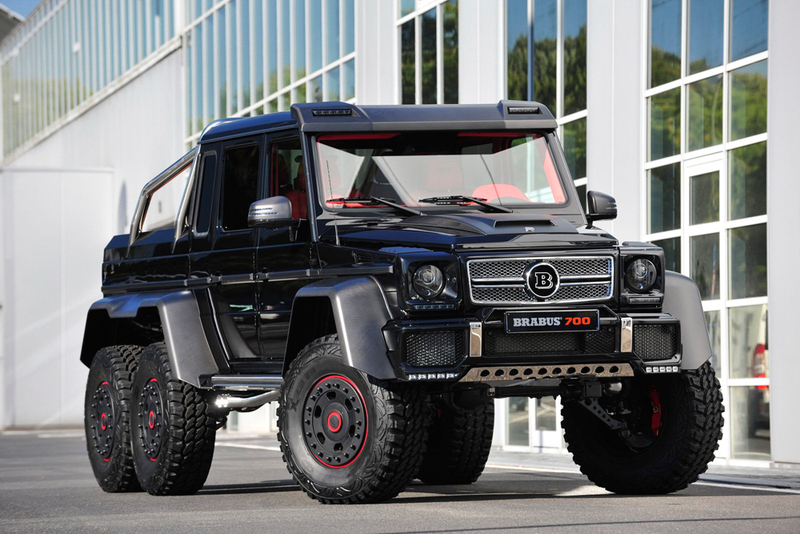 Renowned car customizer Brabus unveiled their latest project, the beastly Mercedes-Benz G63 AMG B63S-700 6×6. The off-road machine delivers a whopping 700 hp and 708 lb.-ft. of torque thanks to the 5.5-liter, twin turbo-charged V8 engine. 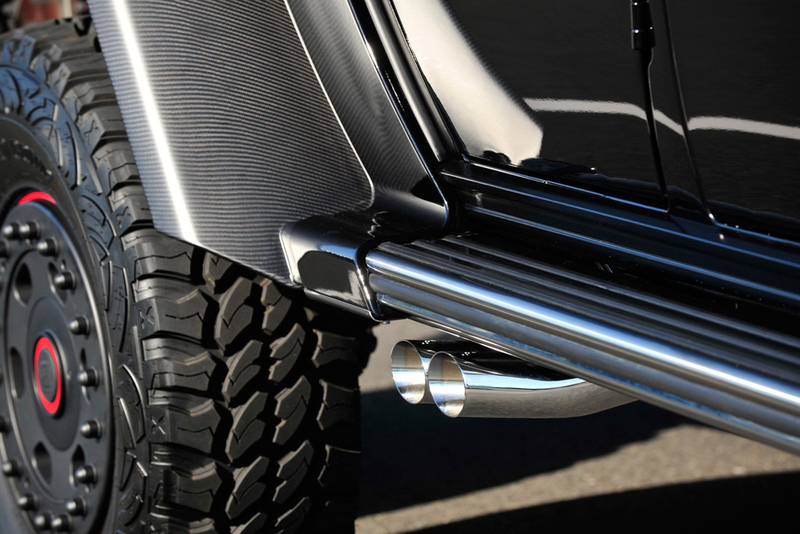 The massive six-wheeler weighs in at just under four tons yet can still get to 62 mph in 7.4 seconds, in large part due to the new turbochargers and exhaust system. Aesthetic details include plenty of carbon fiber and chrome accents found throughout the body, while the interior receives a fiery red Mastik leather/Alcantara combination. Like most car news this week, the monster is expected to be officially unveiled at this year’s Frankfurt Motor Show. No definite pricing as of yet but you can be sure to drop well into the six-figure range for this custom job.